The FBI's Cyber Internship Program is a great first step to a cyber career. The program offers undergraduate (Sophomore, Junior or Senior), graduate or post-doctorate students throughout the nation, an opportunity to assist in investigating and preventing the most sophisticated computer threats around the globe. Interns studying in cyber-related information technology fields will have opportunities within the Cyber Division, Operational Technology Division, Security Division, Informational Technology Branch as well as working in Counterintelligence, Counterterrorism, and Criminal Intrusion matters with a nexus to National Security. Responsibilities will include addressing the cyber criminal threats, providing strategic and field office operational support and assisting with the development and implementation of various software analysis tools. In addition, interns will collaborate with various elements within FBIHQ, the intelligence community and international partners on mitigation strategies, and will produce intelligence products and provide administrative support. The FBI's Cyber Internship Program allows students to work at select FBI Field Office locations and at Headquarters in Washington, D.C. 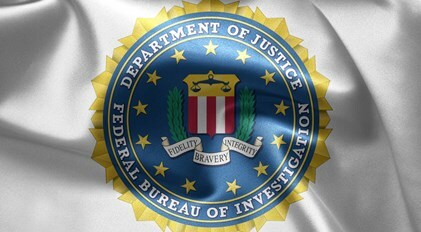 The majority of interns will be assigned to field offices, while others will be assigned to FBI Headquarters in Washington, DC, the FBI Academy in Quantico, Virginia; or other off-site locations. Participants who come on-board during the summer months will spend at least 10 weeks working side-by-side with other FBI professional staff employees and FBI special agents. After completing the summer internship, opportunities will be available throughout the school year at selected offices. Travel cost from the office selected will be on the sole responsibility of the student.